Your Identity Panel High Availability License is used and required in one of three scenarios listed below, each with its own benefits. This license is required for the SaaS version of Identity Panel, for hosting on premise with MongoDB with replica set, and in your Azure cloud, where you also have the option to use Microsoft's CosmosDB with this license. This HA license is also needed if you plan to load balancing your web servers. With your purchase of an Identity Panel High Availability license, SoftwareIDM provides you support, depending on which deployment you choose. If you choose to use Identity Panel as a Service, high availability is provided to you with your license. There is no consulting or customer specific support services regarding high availability in this scenario. However, we recommend you attend course A825 to understand how your data is stored, secured, and protected. This course is included with the Knowledge Package. If you choose to host on premise, we provide up to 20 hours of consulting once your qualified integrator, systems architect, system engineer, or network engineer attends compulsory course A820. Consulting is provided to the trained professional by SoftwareIDM. Additional maintenance and support is provided through your Knowledge Package for Identity Panel using the hours included with that package. Should you require additional support, you can obtain additional hours at the discount rate included with the Knowledge Package Subscription. 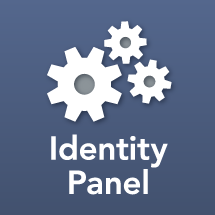 If you choose to host Identity Panel in your Azure tenant with CosmosDB, we provide up to 20 hours of consulting helping you configure Identity Panel Core Framework with CosmosDB.